Magic AI, a Seattle, Washington based startup, developed the world’s first deep learning system that monitors horses and alerts owners of distress, security issues, and horse-specific wellness trends. The startup recently received $1.2 million in funding to expand StableGuard, the company’s 24-hour video monitoring and alert system for horses. Alexa Anthony, CEO of Magic AI, founded the company after her eight-year-old horse named Magic died in the middle of the night from colic, a horse she rode in the NCAA Equestrian Finals. 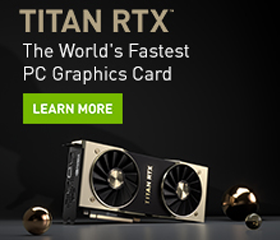 Using NVIDIA GeForce GTX 1080 GPUs and the cuDNN accelerated MXNet deep learning framework, the team trained their system on thousands of annotated horse images. 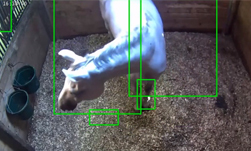 Once a camera is installed in a stall, the video is streamed back to the company’s servers and processed on NVIDIA GPUs on the Amazon Web Services cloud to immediately alert owners of potential issues with the horses. “What makes StableGuard unique is that we have developed a system that specifically recognizes horse behavior,” said Jacob Sullivan, the company’s Chief Technology Officer. “We have a very simple mobile app that allows you to get notifications of anything that is going wrong with your horse today and allow you to watch videos of things that might have happened with your horse previously,” Sullivan said in a company video. The startup says they are currently working on a deep learning solution that might be able to predict illness in horses.